Gary Roulet, a longtime WFEC employee, has served as Chief Executive Officer for the past 14 years. 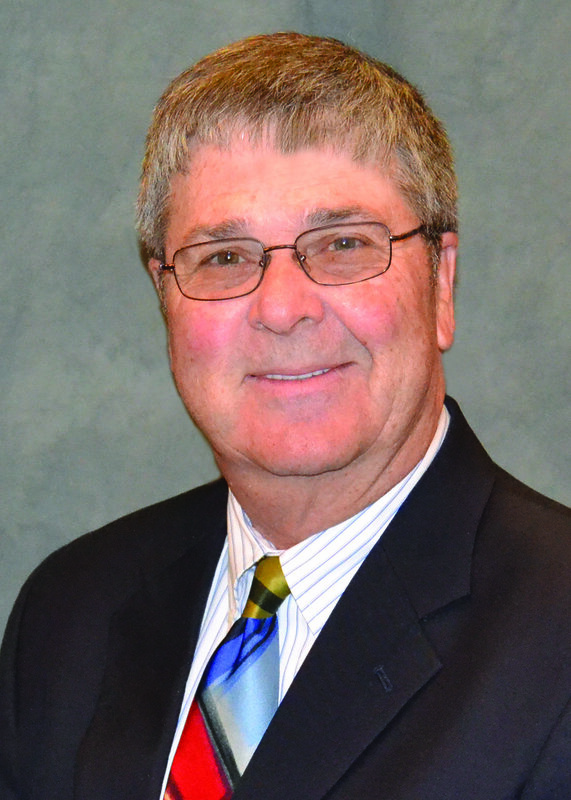 Roulet, who has over 43 years of executive, managerial, supervisory and technical experience with WFEC, began his career with the generation and transmission cooperative in 1974. Roulet currently serves on the Southwest Power Pool Members Committee, which supports the Board of Directors, the ACES Power Marketing Board of Managers, the Southwestern Power Resources Board, the Board of the Oklahoma Association of Electric Cooperatives and the Board of the Fort Cobb Reservoir Master Conservancy District. In the past, he has served on numerous boards and committees, both industry-related and within the Anadarko community. Roulet has a Bachelor of Science degree in Accounting, with a minor in Computer Science, from Southwestern Oklahoma State University. Roulet and his wife, Gail, reside in a rural area near Newcastle. They have two daughters and one grandson. Ron Cunningham, Vice President, Power Delivery, began his employment with WFEC in 1974. He worked in various positions within the Accounting and Finance department, including the position of department manager. In 1995, Cunningham was promoted to senior management, where he served in several positions, including chief financial officer, general manager of Corporate Services, treasurer and financial risk officer and general manager of Transmission and Distribution Services, prior to his current role. A graduate of Gracemont High School, Cunningham earned a Bachelor of Science degree from Southwestern Oklahoma State University and a Master of Arts degree from the University of Oklahoma and is a Leadership Oklahoma, Class XIV graduate. Cunningham is also a past president of the Generation & Transmission (G&T) Accounting and Finance Association. He and his wife, Karen, live in Norman. They have two daughters and two grandchildren. Jane Lafferty, Vice President & Chief Financial Officer, has over 33 years of experience with WFEC, beginning her career in 1984. Lafferty has also had positions as a budget analyst and manager of Financial Services. She is a member of the G&T Accounting & Finance Association and previously served as president and as a member of the Accounting Committee of this group. Lafferty is also a member of the Association for Financial Professionals. She has a Bachelor of Science degree in Accounting from Oklahoma State University. She, and her husband, Bill, reside in Anadarko. They have a son and a daughter. Gary Gilleland, Vice President, Generation, has been with WFEC for almost 10 years, and has over 34 years of experience in the generation industry. He has served as a board member for numerous organizations, including the Fort Cobb Water Conservancy Board, the Texas Tech Advisory Board and the Chamber of Commerce. Gilleland received a Bachelor of Science in Engineering from Texas Tech. He and his wife, Amy, reside in Elgin. They have three daughters and five granddaughters. Mark Faulkenberry, Vice President, Member Relations, a longtime employee in the cooperative industry, was promoted to his current role as in April 2018. Prior to this appointment, he served as Senior Manager, Member Relations and Manager of Marketing and Communication at WFEC. Faulkenberry came to WFEC by way of one of its distribution cooperatives, Alfalfa Electric Cooperative, where he served as Manager of Engineering and Key Accounts for over 15 years. With an additional 15+ years of experience at WFEC, Faulkenberry has a combined total of over 30 years of experience in the electric utility industry. 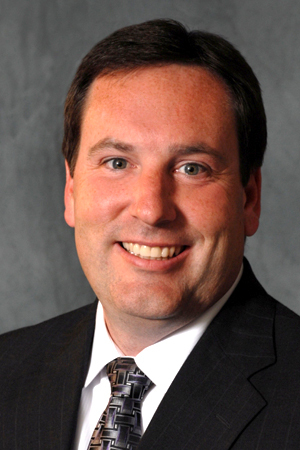 Faulkenberry graduated from Oklahoma State University, with a degree in Agriculture Engineering Technology. He was a member of Leadership Oklahoma (LOK) - Class 21. Faulkenberry and his wife, Yvonne, reside near Yukon. They have a son and daughter. David Sonntag, Vice President, Special Projects, was promoted April 2018. Prior to this new role, he served as Senior Manager, Special Projects and as manager at the Hugo Plant for six years. Sonntag, who began his career with WFEC in 2000, will be working from WFEC’s Moore Office, but will be traveling to all WFEC locations as necessary. Since being employed with WFEC, he has served in several positions, including: plant engineer and operations superintendent, at the Hugo Plant; and manager, generation engineering at WFEC’s headquarters in Anadarko. Sonntag earned a Bachelor of Science degree in Mechanical Engineering from the University of Maryland at College Park. He and his wife, Shontell, live in Norman and have two daughters. Matt Caves was promoted to the position of Senior Manager, Legal and Regulatory Compliance in April 2018. Prior to this role, he served as Manager for Legal and Regulatory Compliance and as the WFEC Compliance Officer. 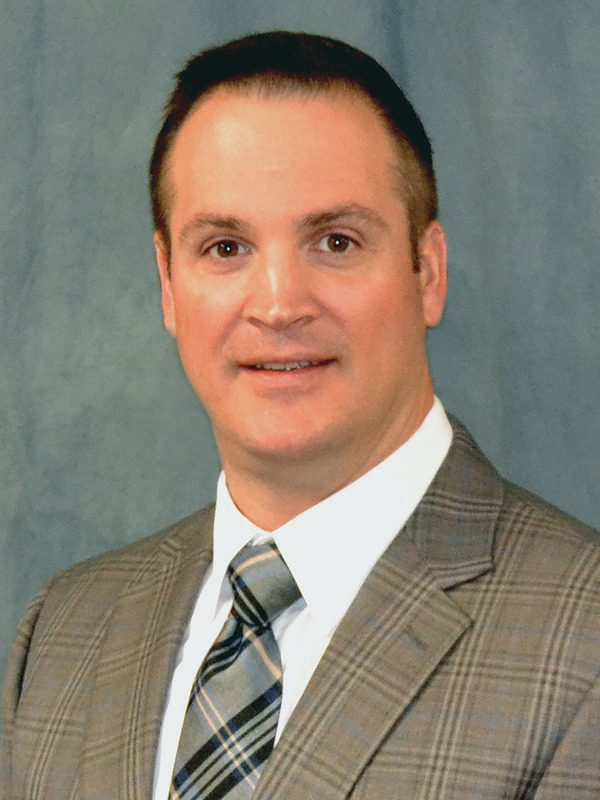 Caves began his career with WFEC in 2014 after nearly 15 years as a State regulatory attorney and working in private practice specializing in corporate environmental issues. Current responsibilities include serving as senior management for environmental, health and safety and serving as the Compliance Officer for NERC compliance. Caves also focuses on contracting and managing the cooperative’s legal issues and outside legal resources. He is an active member of the Oklahoma Bar Association (OBA), previously serving as the Chair of the Environmental Law Section, as well as an active member of the Electric Cooperative Bar Association. Caves earned a Bachelor of Science degree in Wildlife and Fisheries Ecology, from Oklahoma State University and a Juris Doctorate degree from the University of Oklahoma, College of Law, where he spent a semester studying European Economic Law at the University of Oxford, Queen’s College. He and his wife Jamie live near Amber and have two sons. Michael Meason, Senior Manager, Information and Security, was promoted to his current role in June 2018. Michael began his career at WFEC 9 years ago as a Sr. Network Engineer and has also served as the Manager of Technical Services. Michael has ten years of experience in enterprise information technology (IT) and cyber security within the Financial Services Sector in addition to 9 years of experience in the Electric Utility Industry. His areas of influence include information technology (IT), operational technology (OT), telecommunications engineering, network engineering/operations, and cybersecurity. Michael earned a B.S. Computer Information Systems from Cameron University, and a M.S. Telecommunications Management from Oklahoma State University. Michael is a current member of Leadership Oklahoma Class 32. He and his wife, Lea, reside near Cyril and have two daughters. Rodney Palesano currently serves in the role of Senior Manager, Human Resources. He has been at WFEC over 23 years. He has more than 15 years of WFEC experience in Human Resources, 2 years of Resource Planning (including renewables, and purchase power agreements), and about 5 years of Safety & Training when he began his career in 1995. Rodney holds a Bachelor of Science in Fire Protection & Safety Engineering Technology from Oklahoma State University. He also took advantage of WFEC’s education reimbursement program to obtain a Master of Arts degree in Organizational Management, graduating in 2000. He pursued and obtained top certifications in related fields, including: Senior Professional Human Resources (SPHR) and Certified Safety Professional (CSP). Rodney’s current responsibilities include: administration of the health and retirement plans (medical, dental, life insurance, retirement security plan, 401(k) plans, short and long term disability plans); Property & Casualty insurance plans; compensation; payroll; recruitment, hiring, on-boarding, employment regulations; related compliance and HR functions. Rodney has participated and held officer positions on multiple Boards, focus groups and industry related organizations. He actively participates in opportunities to provide input and direction to NRECA to provide effective products for employees and members related to health and retirement benefits. He and his wife Michelle, reside in Chickasha and have one daughter and one son.